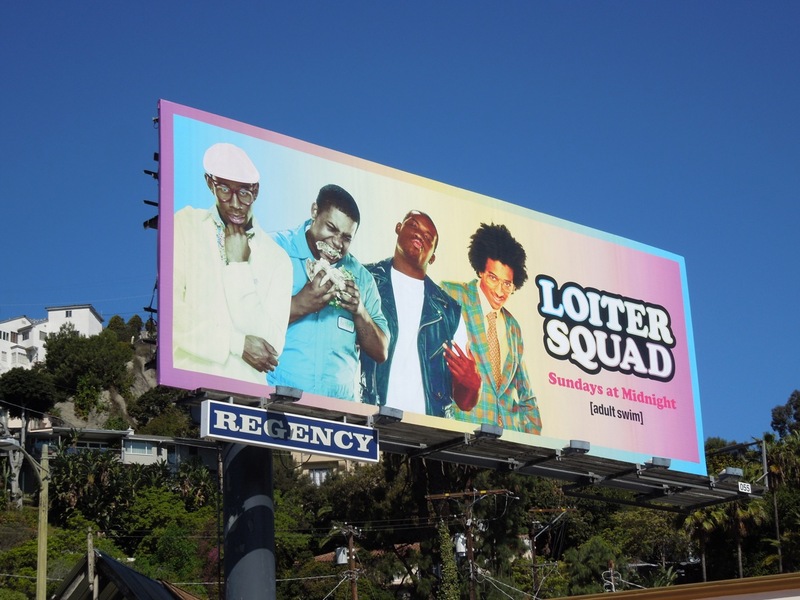 Daily Billboard loves that these creatives for Loiter Squad are such a visual assault on your eyes that you can't help but notice them. 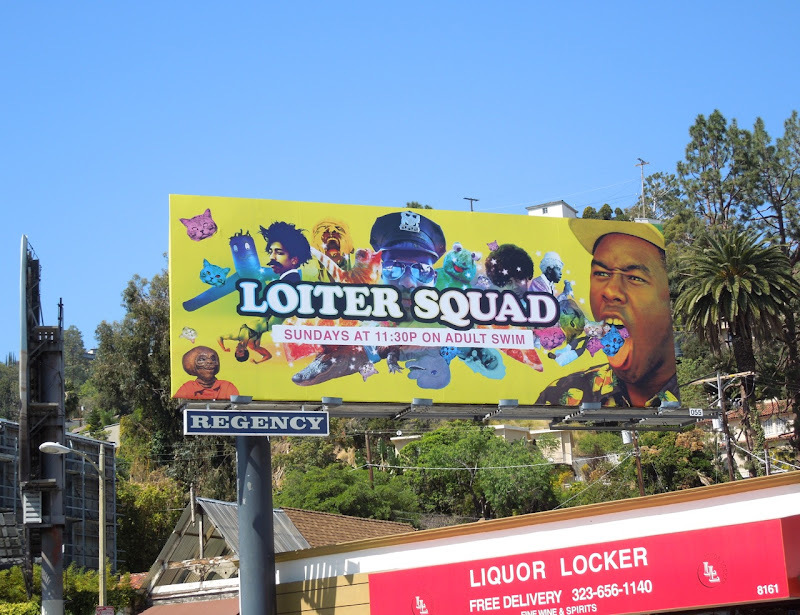 These fun billboards for the Adult Swim comedy sketch show starring the L.A. hip hop group Odd Future, really are a riot of vibrant colour and ideas literally spilling out at you. 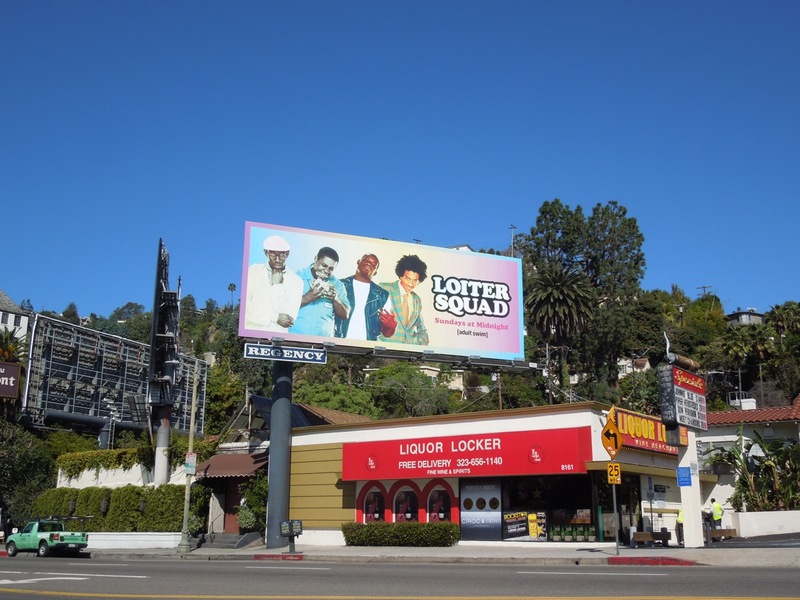 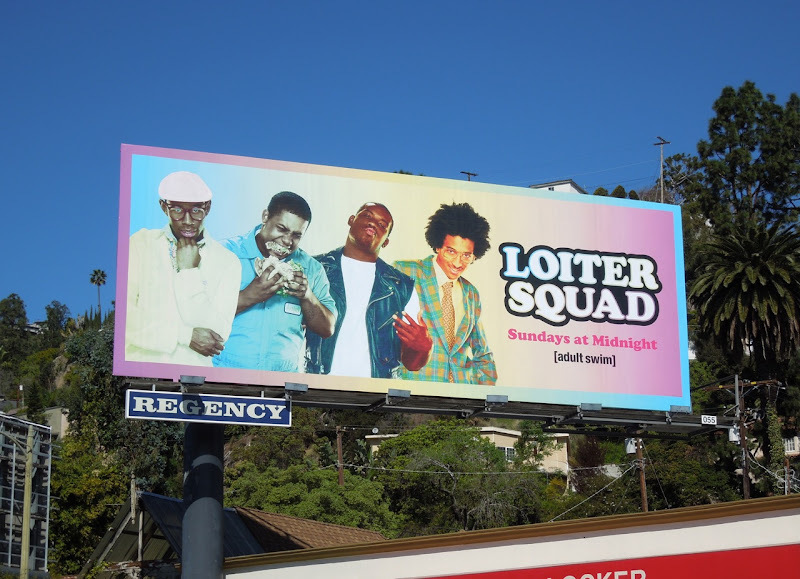 The Loiter Squad season one billboard was spied along Sunset Boulevard on March 20, 2012, whilst the sophomore season creative was snapped in the same location on March 9, 2013. 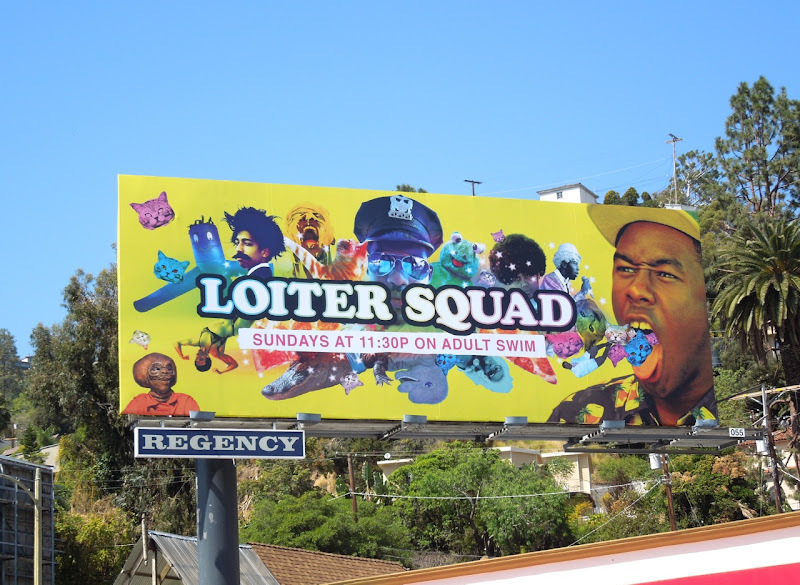 If you're a fan of the TV channel, be sure to check out these other eye-catching and often provocative Adult Swim billboards.